Please make sure that this questionnaire is posted on your blogs by Tuesday, May 1st!! 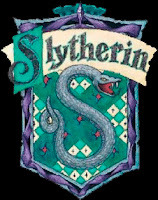 House points will be awarded. 2. List your three favorite double-point needle brands, including size and length. In South Australia we don't have a big selection of double point needles so to be honest any needles would be great . 3. Would you like to try a new brand needle? If so, which brand? Size? Length? I mainly knit with metal knitting needles but i like bamboo to. Prefer needles that are short. 4. If you are a RAVENCLAW, do you prefer the colors in the film or the book? Do you have a strong preference? 5. If your pal decides to send candies or chocolates are there any that you don't like? Tim tams, anything with a strawberry filling, Not keen on dark chocolate but love white and milk chocolate. Big fan of the Aero Bar. 6. What are your favourite scents?